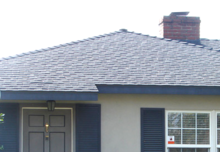 Lansford Roofing is an authorized distributor and installer of the most respected and trusted brands in the industry. ​New Shake XD. Fully walkable. 50 year warranty. 160lbs. installed. Class 4 Hail Impact Resistance. This brand new state of the art Decra product is the only Steel product on the market that showcases no exposed fasteners. All Decra Steel material are corragated products featuring twice the strength as as other steel products. Color shown above is Antique Chestnut. This rugged masterpiece is a 2" staggered application. Heavy "Reserve" Shakes. 80% Edge Grain, 60% 2-pack. Fully walkable. Wood Shakes showcase the highest insulative value of any roofing product in the market. 50 year Warranty. This is the product everyone tries to replicate! Oakridge® shingles have a warm, inviting look in popular colors for a step up from traditional three-tab shingles. A 30-Year Limited Warranty with 70 MPH-Wind Resistance Limited Warranty adds to this shingle's appeal, along with our Algae Resistance Limited Warranty.